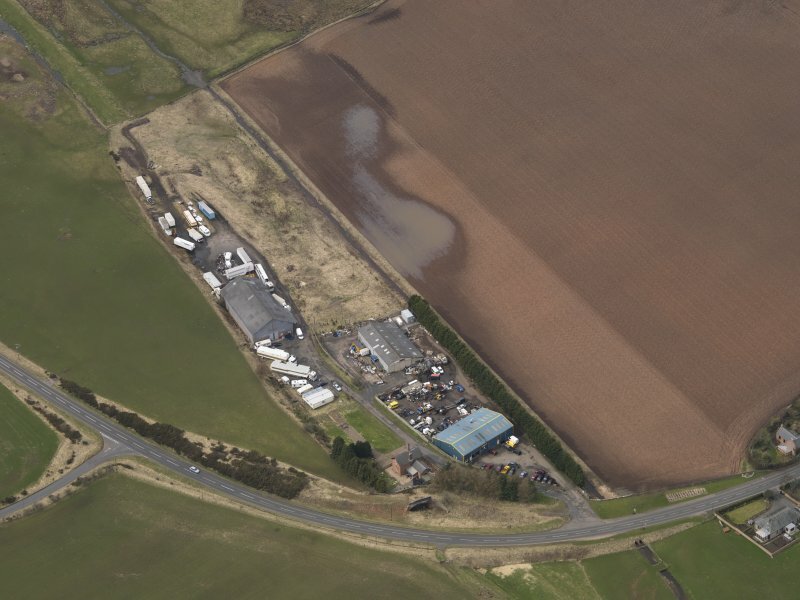 Oblique aerial view centred on the remains of the railway station, taken from the ESE. 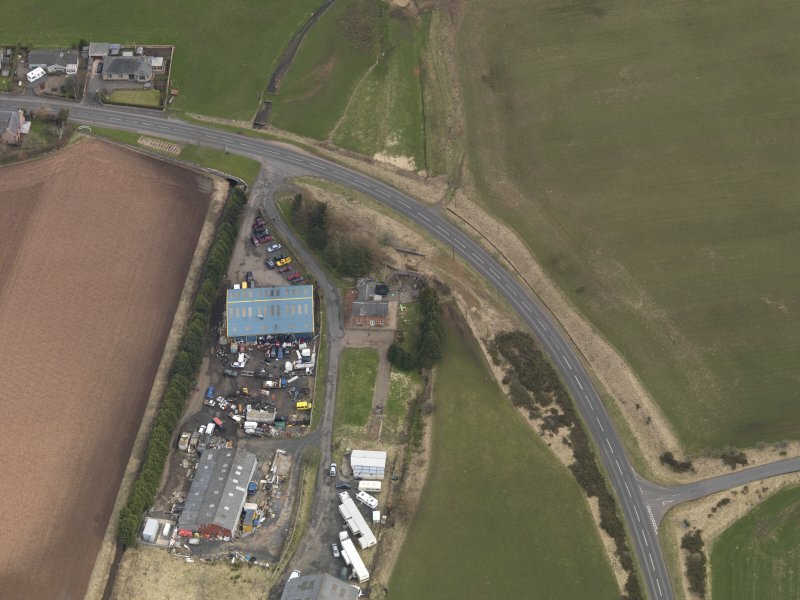 Oblique aerial view centred on the remains of the railway station, taken from the SW.
Oblique aerial view centred on the remains of the railway station, taken from the W.
Oblique aerial view centred on the remains of the railway station, taken from the SE. 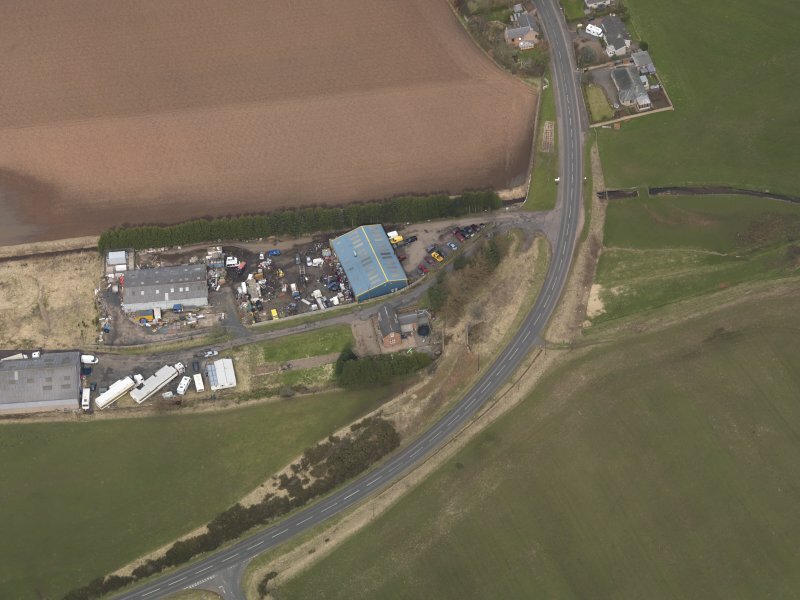 Oblique aerial view centred on the remains of the railway station, taken from the SSW. Greenlaw Railway Station was closed in 1948, but the station building still stands, with the disused platform landscaped as a garden. Built to serve the Reston-St Boswells line which was opened in 1849, the two-storeyed red sandstone building is a typical example of station architecture in this region. 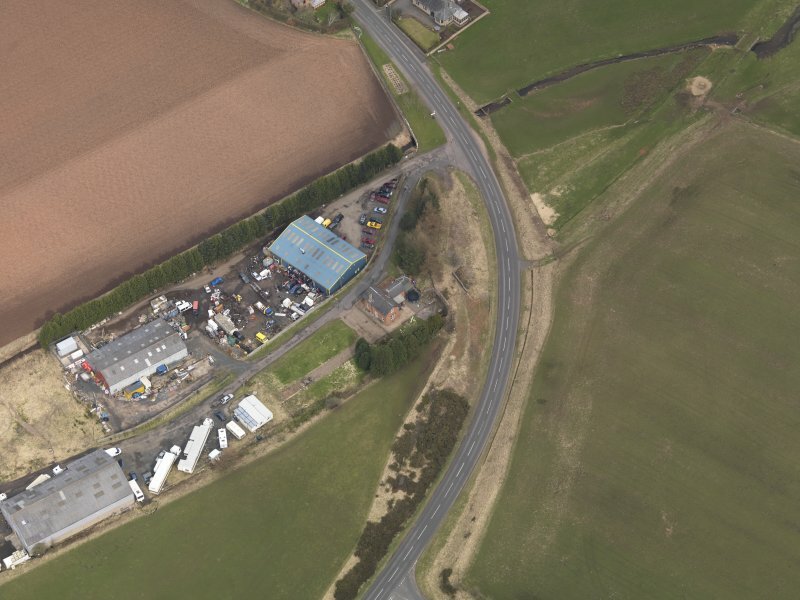 This intermediate station on the Reston-St Boswells secondary line of the (former) North British Rly was opened by the Berwickshire Rly on 16 November 1863. It closed to regular passenger traffic (with the St Boswells-Duns portion of the line) on 13 August 1948. 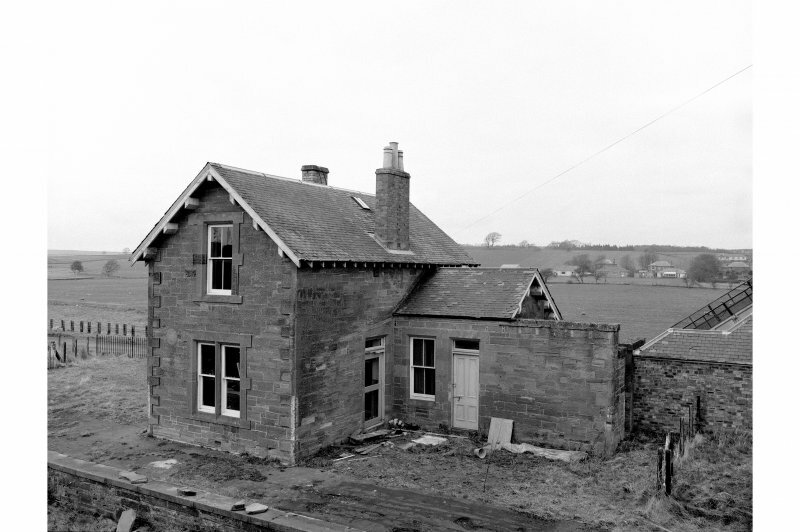 The surviving building of Greenlaw Railway station is situated on the W side of a remaining section of Wester Row. 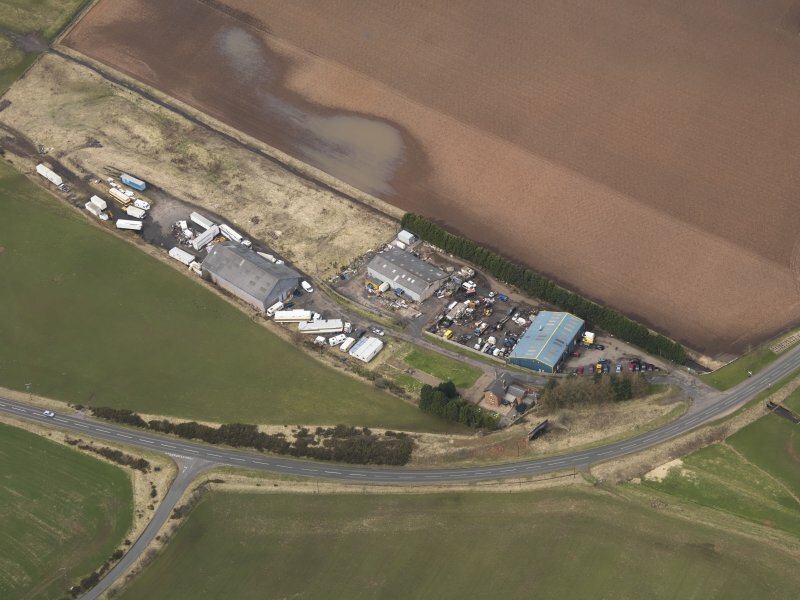 The building is set within a post railway period garden which straddles the former trackbed and in the immediate surrounding area are twolarge sheds connected with a car repair yard. Immediately to the E a new road now bypasses the building and the road overbridge, which also survives. Bult mainly of brick with a slated roof.